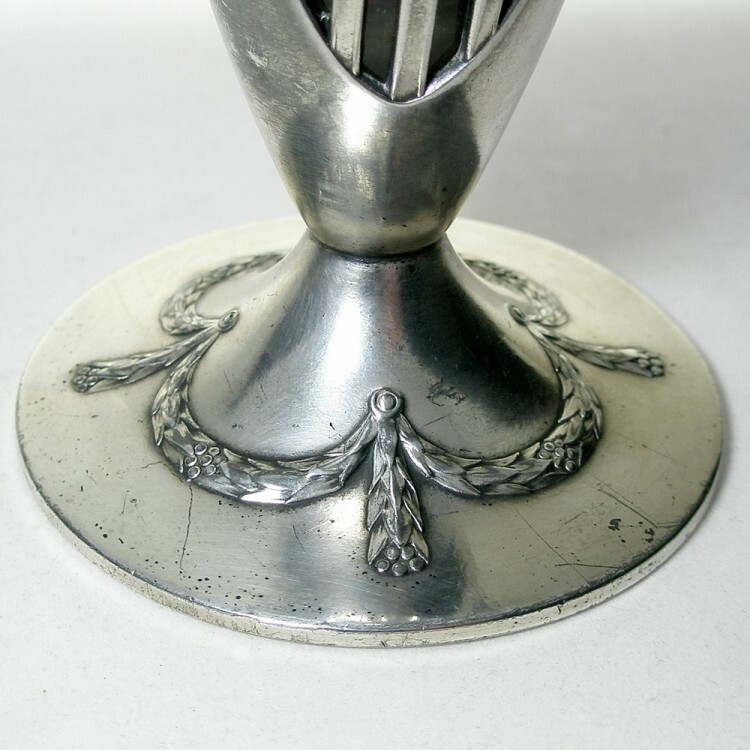 Up for sale is a W.M.F. 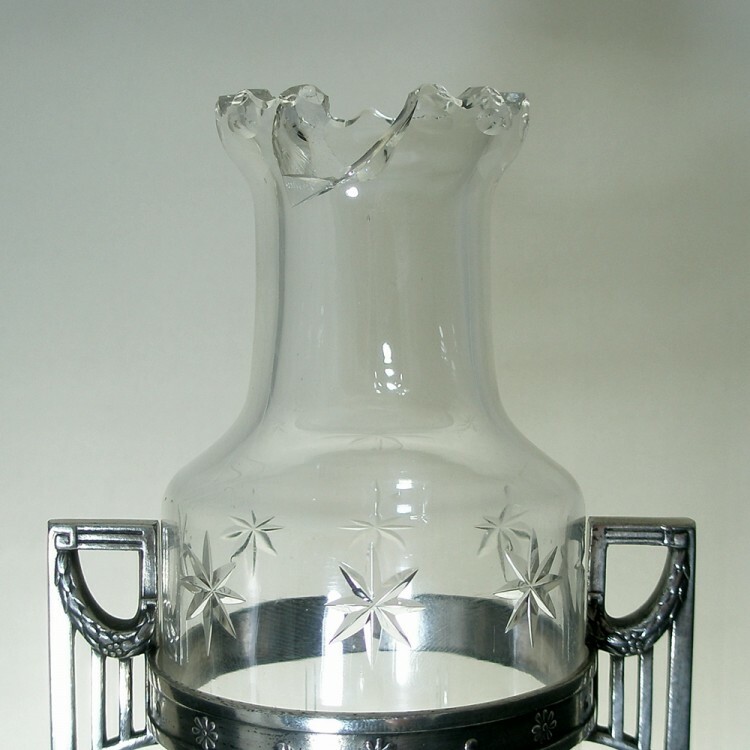 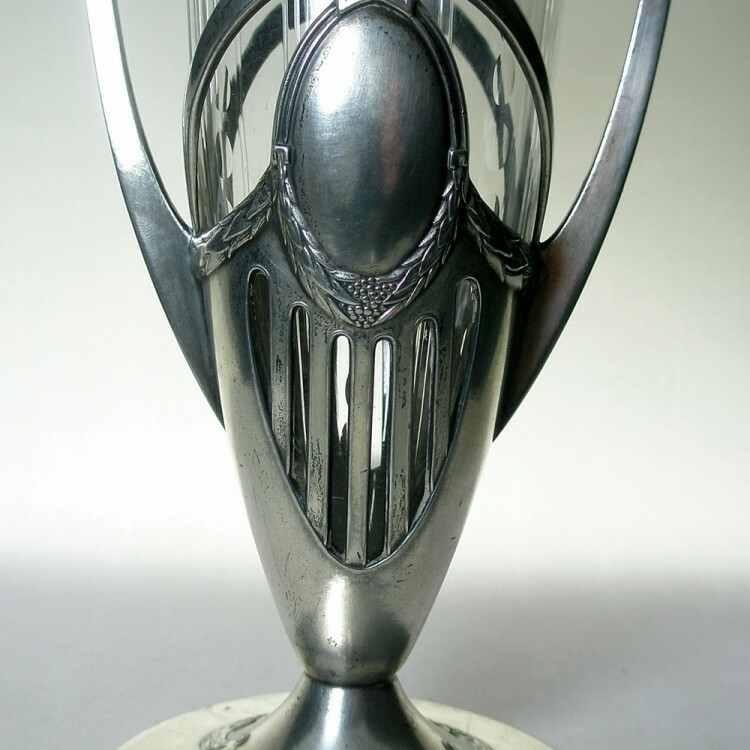 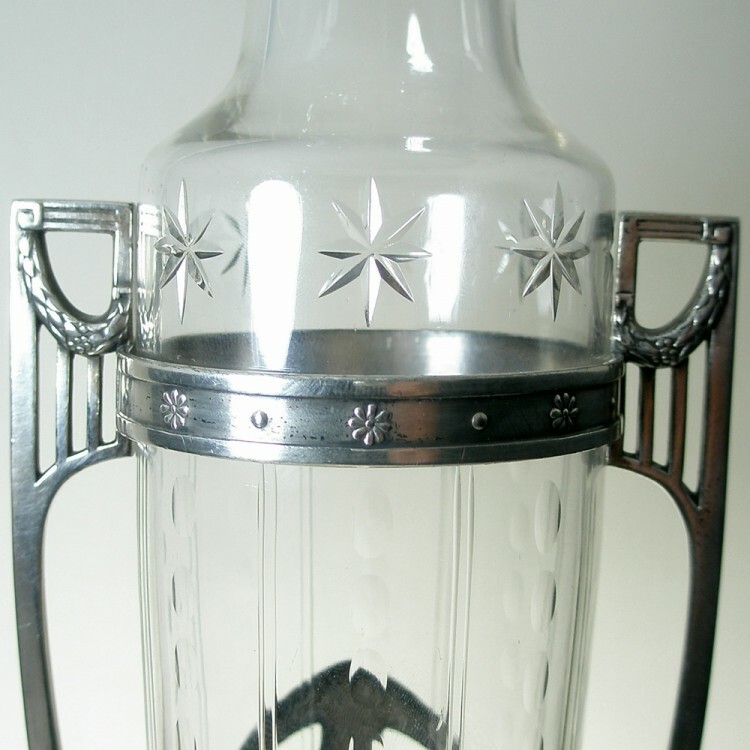 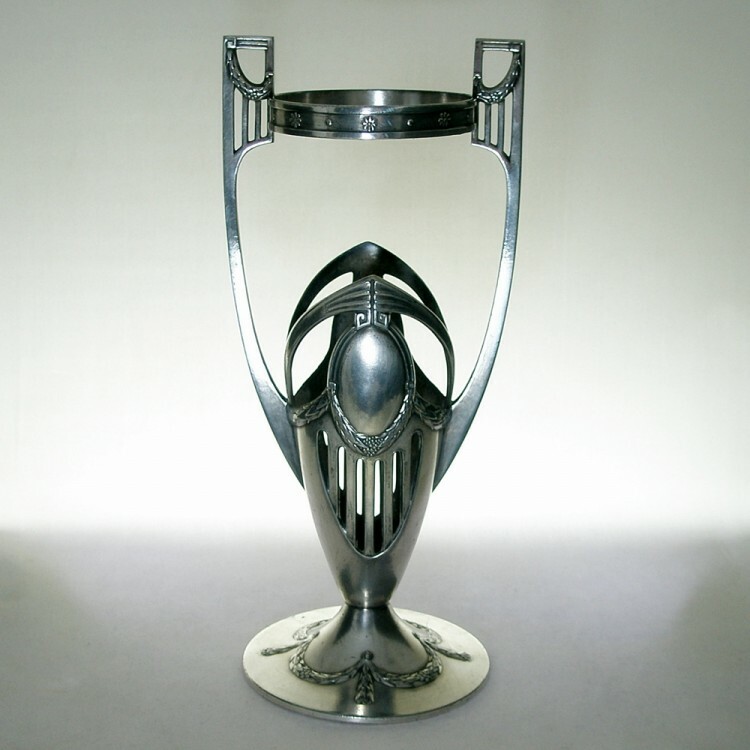 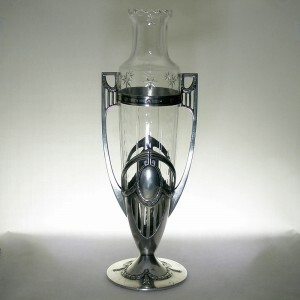 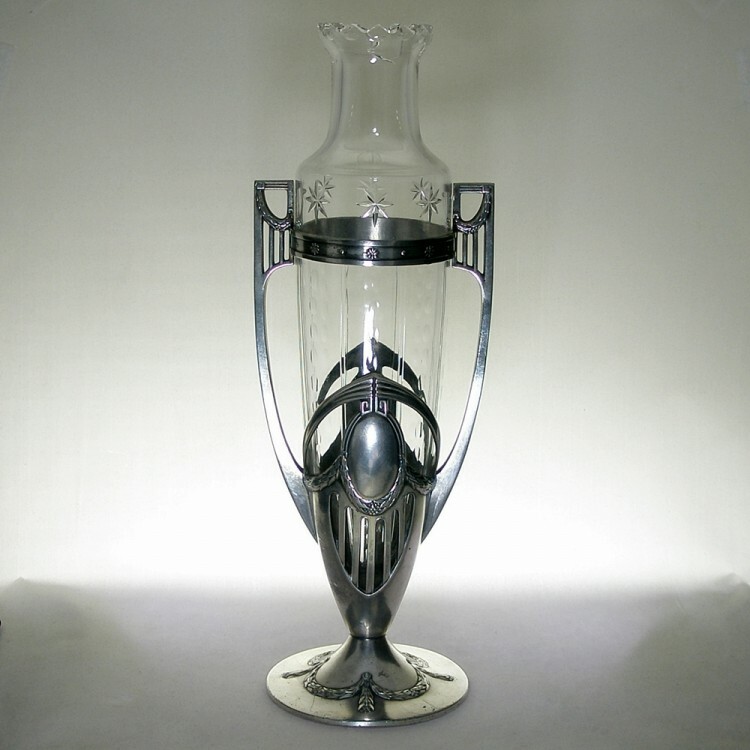 Art Nouveau silver plated pewter and cut glass vase with shallow cut decoration in a classical two handled frame on circular foot. 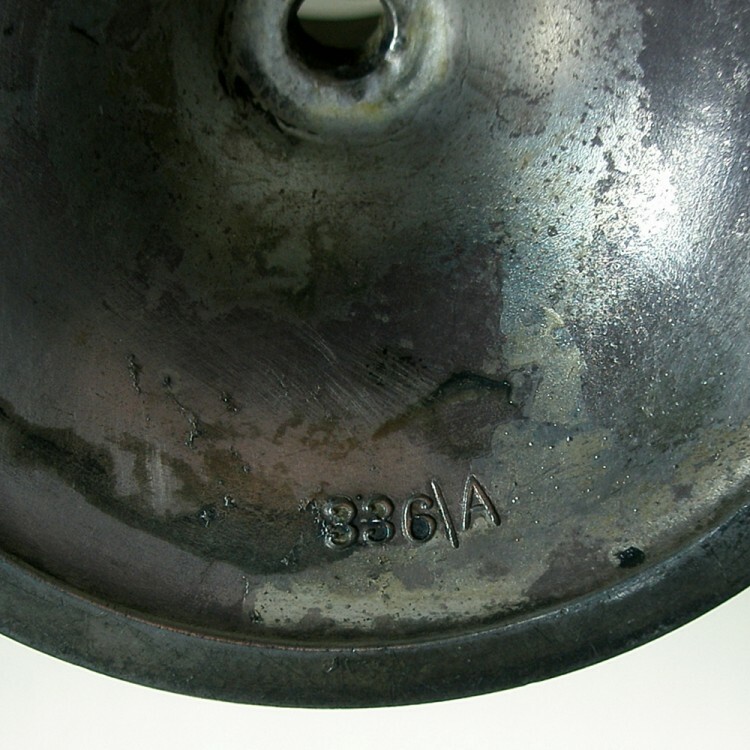 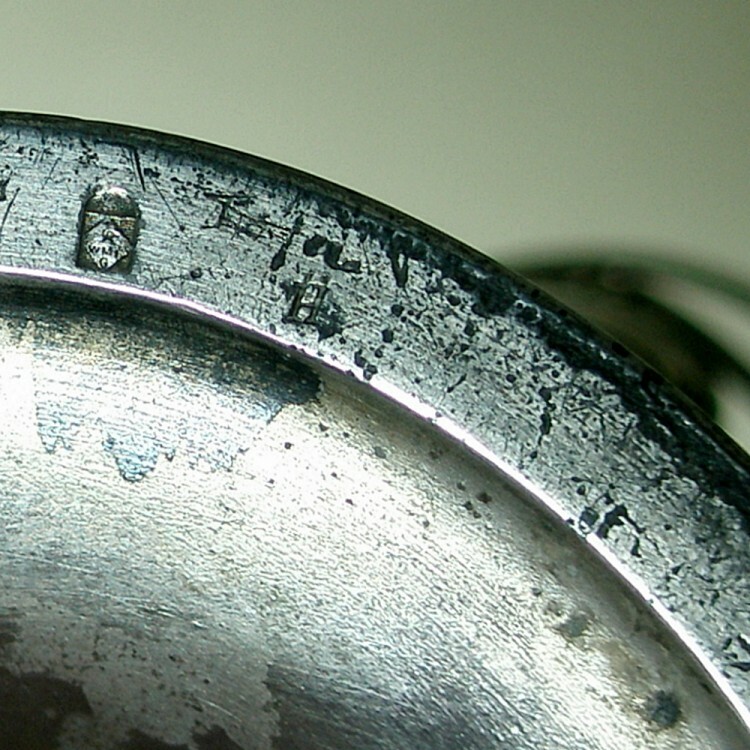 The underside of the foot is marked with the small ostrich WMF impressed mark used from 1910 and there is an additional impressed letter H. There is also the model No 336A and a hand engraved signature that i cant make out with the number 1248. 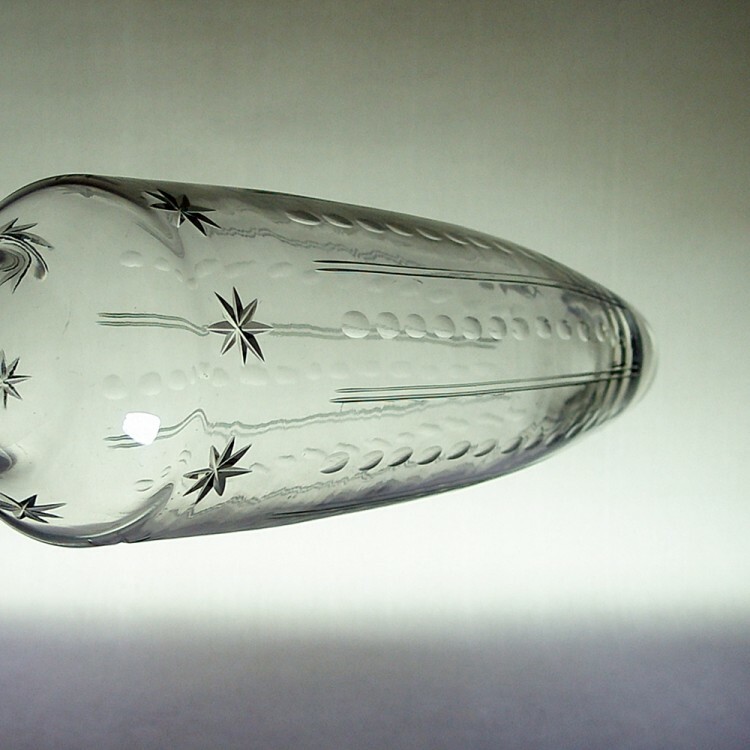 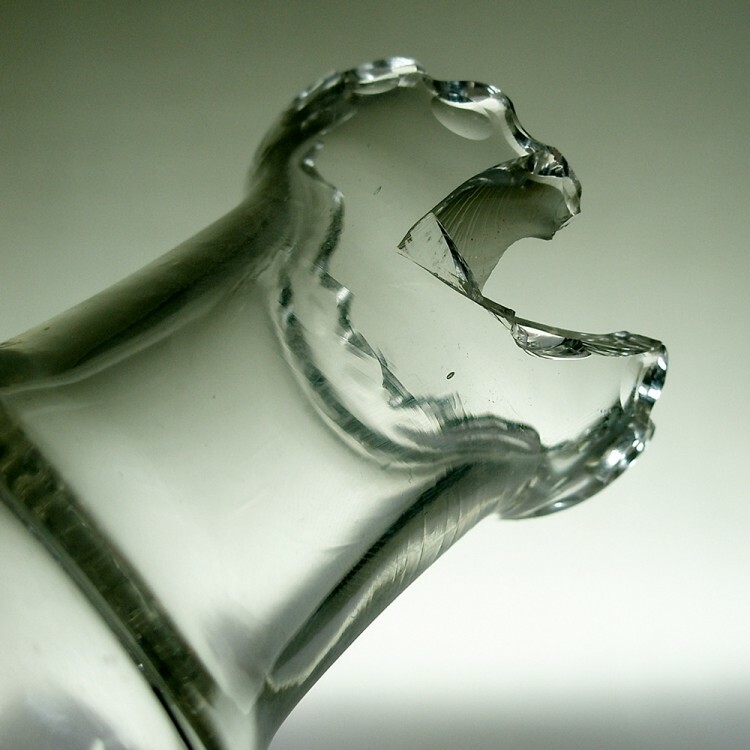 The glass vase has a large chip on the rim and the very bottom has slight clouding. 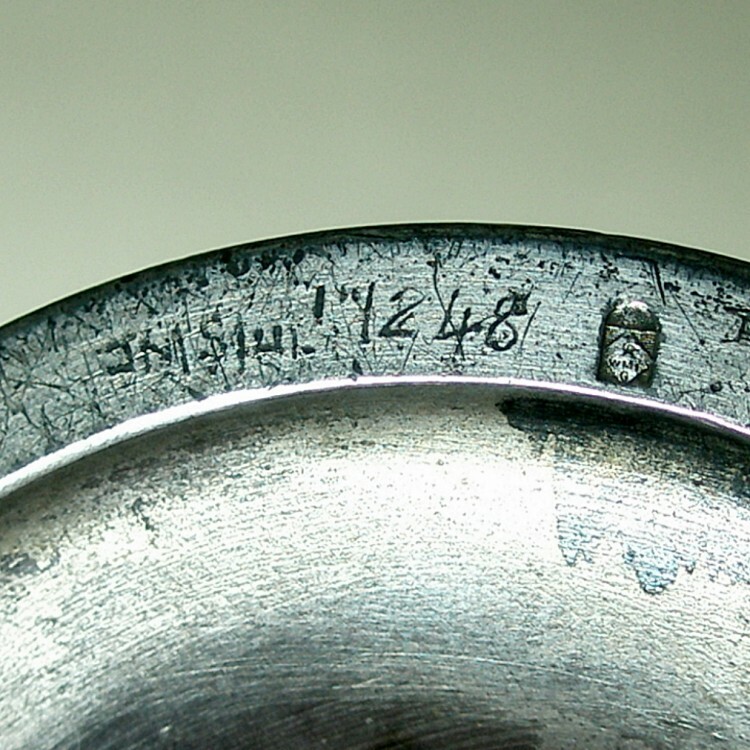 There is some wear to the silver plated frame and some scratches on the foot all shown in the pictures. 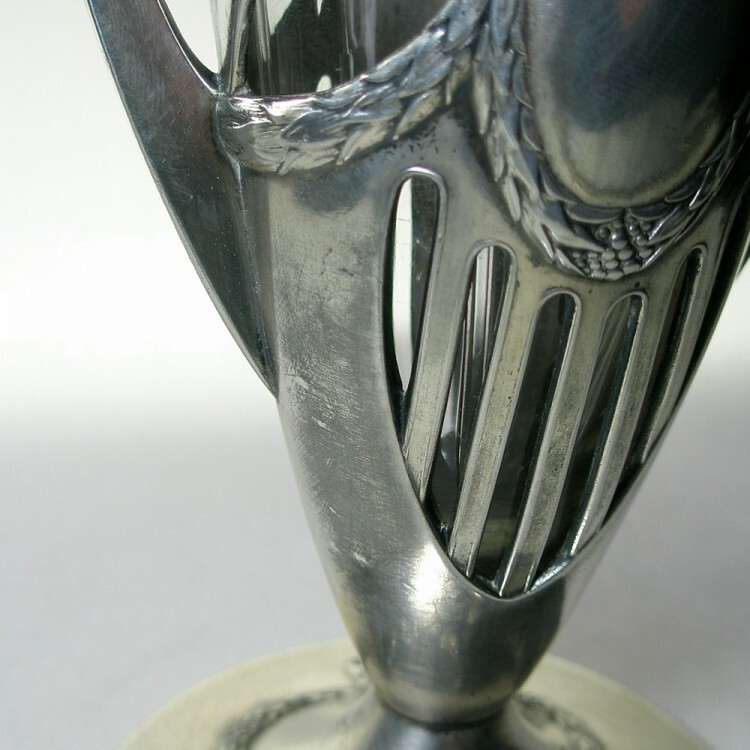 The foot is very slightly warped and the underside of the foot rim has a small dent, there are no other dents and the frame is free from bends.